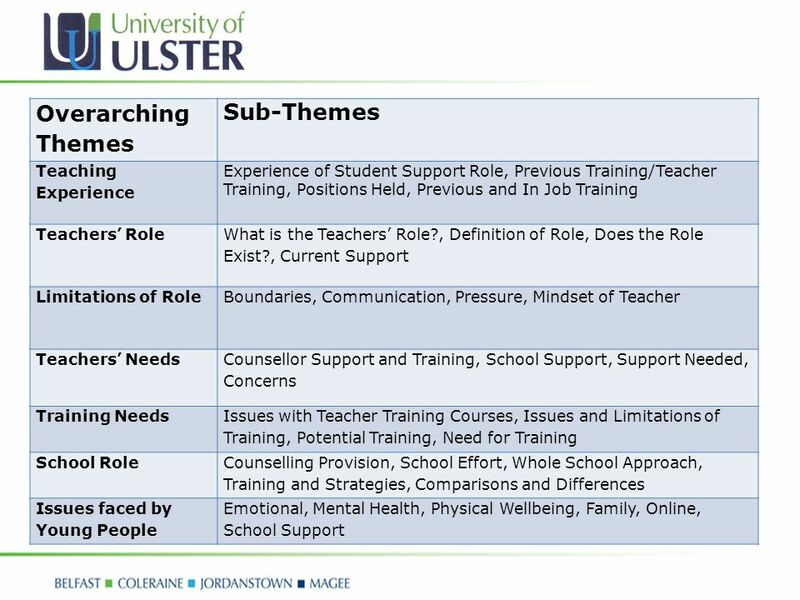 The teachers’ role and training needs in psychologically and emotionally supporting pupils (11-18 years) Susan Armstrong Dr. A Moorhead, Dr. J Simms, Dr.
2 PhD Project To determine and define the teachers’ role in psychologically and emotionally supporting pupils (11-18years), to identify the teachers’ training needs and to provide recommendations for potential training facilitation for teachers’. 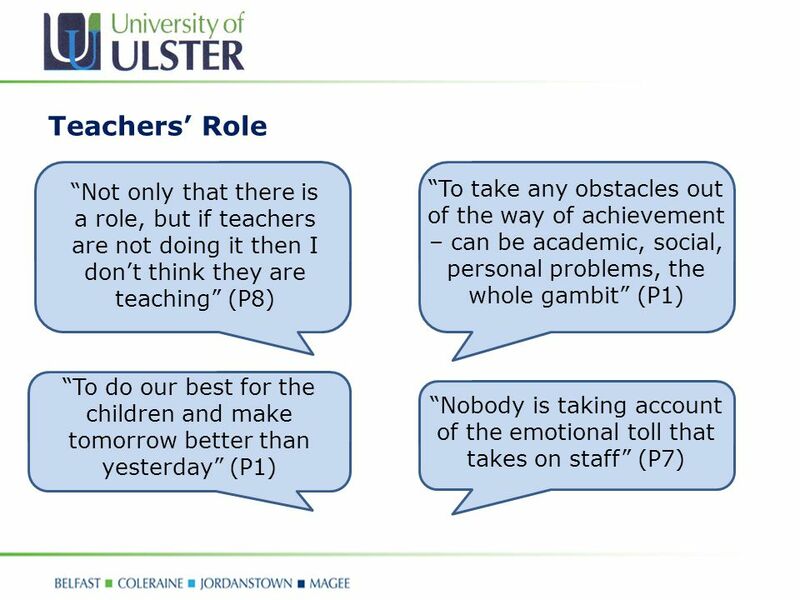 5 Research Questions: 1)What role do teachers’ have in psychologically and emotionally supporting pupils (11-18 years)? 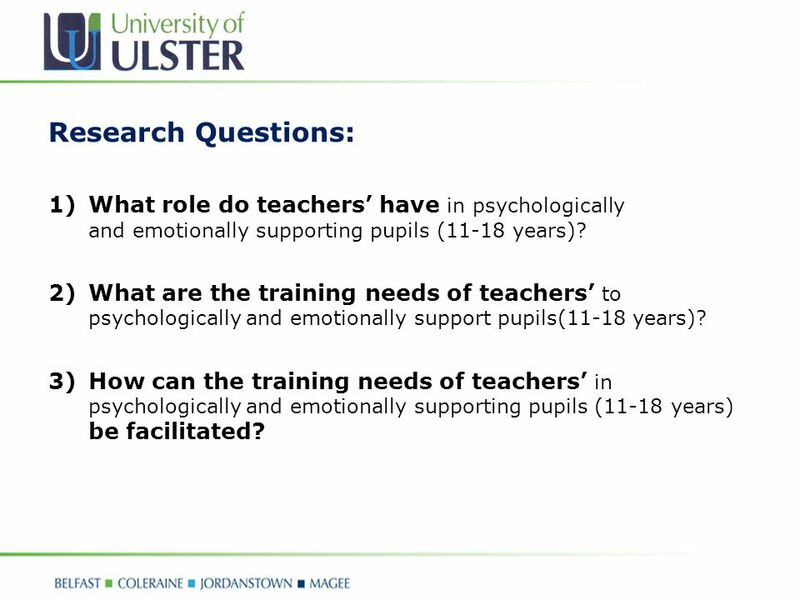 2)What are the training needs of teachers’ to psychologically and emotionally support pupils(11-18 years)? 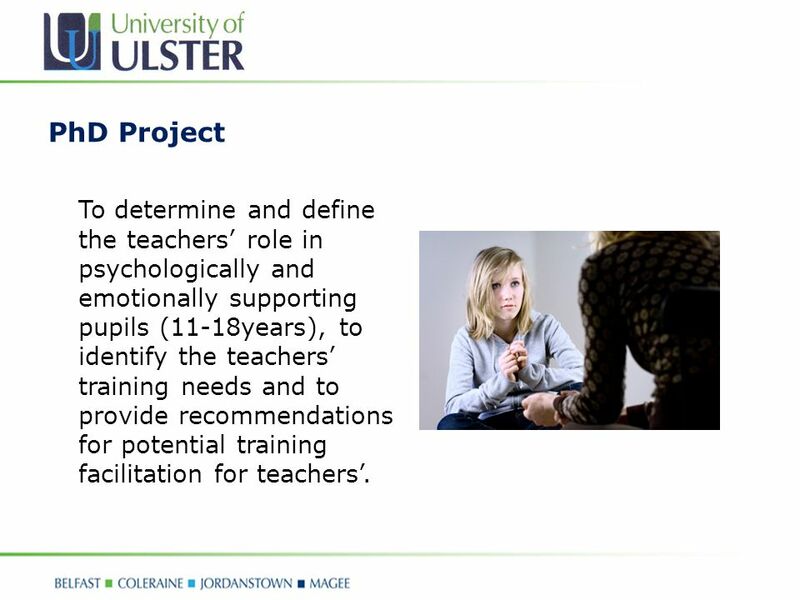 3)How can the training needs of teachers’ in psychologically and emotionally supporting pupils (11-18 years) be facilitated? 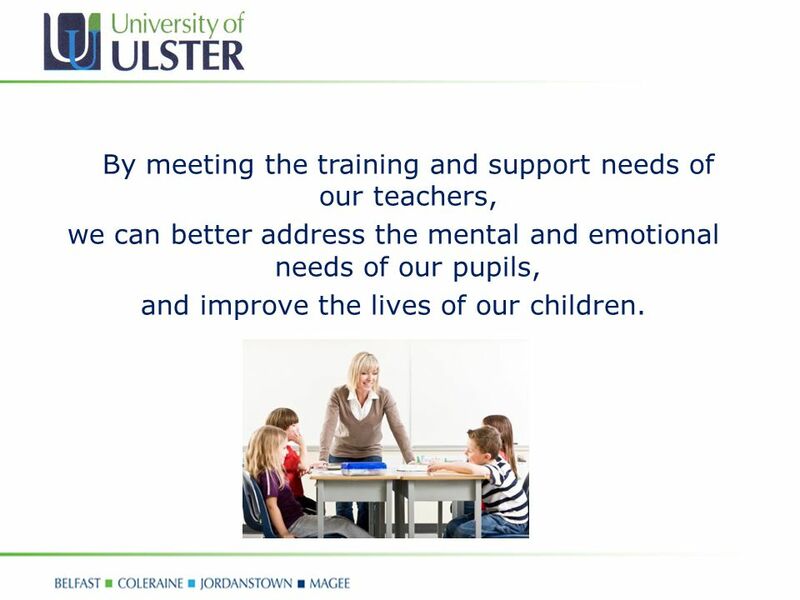 16 By meeting the training and support needs of our teachers, we can better address the mental and emotional needs of our pupils, and improve the lives of our children. 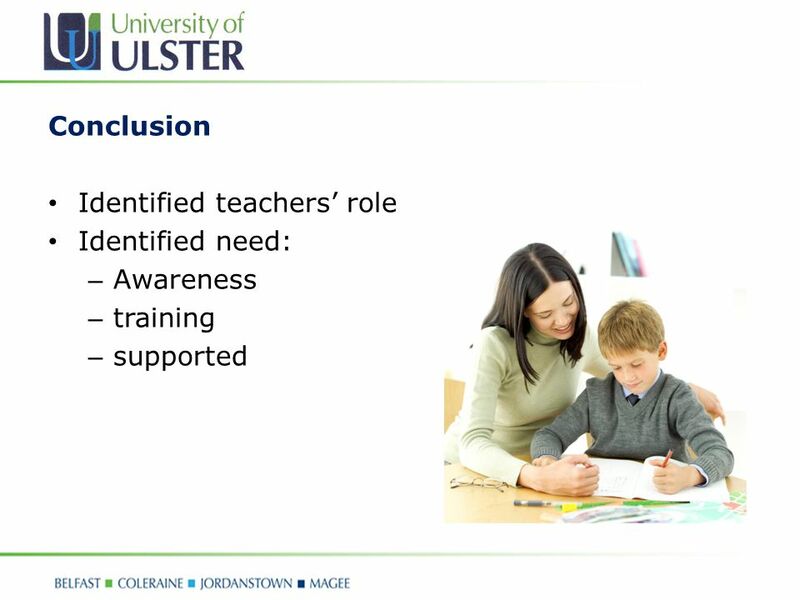 Download ppt "The teachers’ role and training needs in psychologically and emotionally supporting pupils (11-18 years) Susan Armstrong Dr. A Moorhead, Dr. J Simms, Dr."
Supporting further and higher education Setting the scene Rhona Sharpe Learner Experience Support Project. 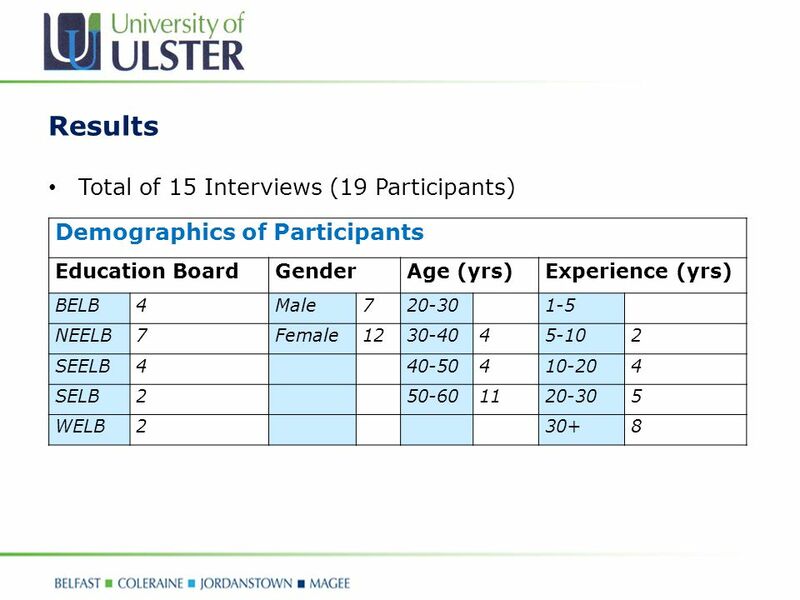 1 Strategies to better safeguard children in highly diverse communities Research undertaken for Tower Hamlets LSCB. WHAT IS SAFEGUARDING Safeguarding is a Government/NSPCC initiative that helps too protect young people from abuse. On average 75 young and vulnerable. Experiential Accounts of the Challenges of Parents with Mental Retardation Alexis Palfreyman Rachel Weisenbach Hanover College. The role of Governors in delivering Cornwall’s strategic priorities for improving the outcomes of vulnerable young people in Cornwall. Kim Conchie Chief. What Do Counsellors Do? Enhance students' mental, social & educational development Assist with the development of an enabling school culture Empower students. 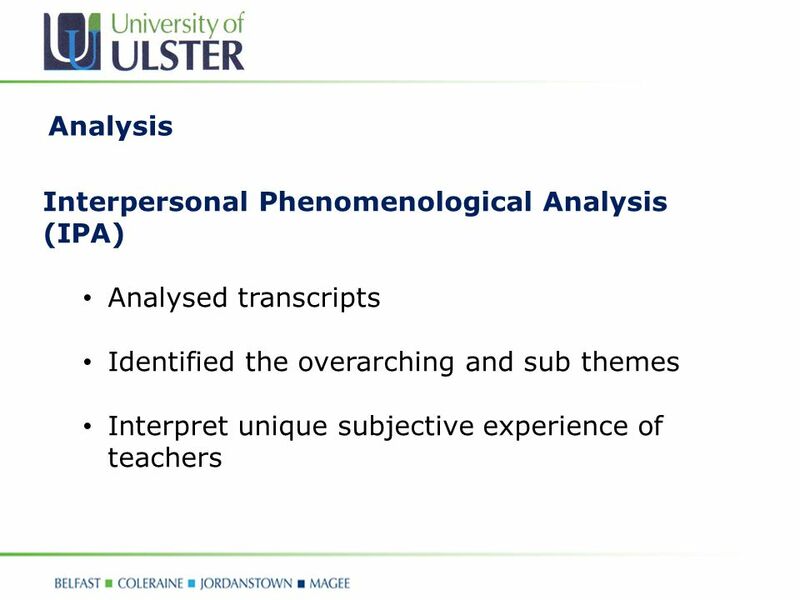 Abertay.ac.uk ‘All that stuff I told them’ Ethical considerations for counselling and psychology students required to divulge personal information during. 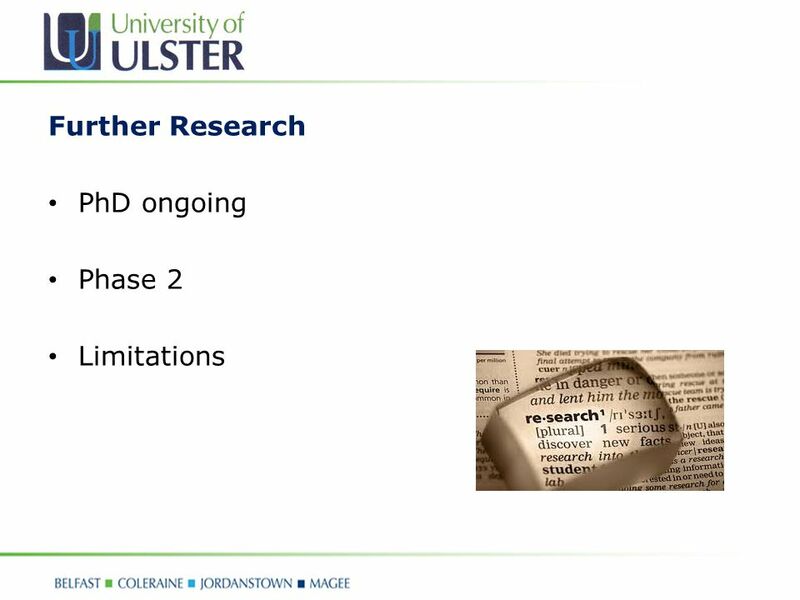 Protecting the Privacy of Family Members in Survey and Pedigree Research Jeffrey R. Botkin, MD, MPH University of Utah. 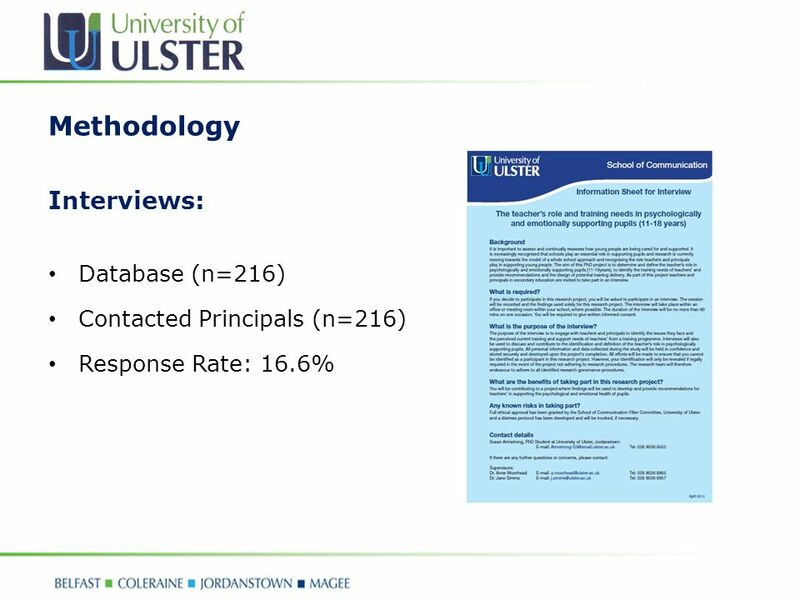 Melissa Faulkner Senior Research Officer Child Advocacy Service Royal Children’s Hospital Reflecting on trends in 25 years of child abuse and neglect reports. Child safe environments A child safe organisation A child-safe organisation has a commitment to protect children from physical, sexual, emotional. WHAT IS SAFE GUARDING Tutorials. During this lesson you will learn  What safe guarding means  How you can keep yourself and others safe.  The college. 2015/5/161 Against Child Abuse (Hong Kong) Parent-Child Helpline Service Mr. Arkin Lo Service Manager (Remedial Service) Against Child Abuse. 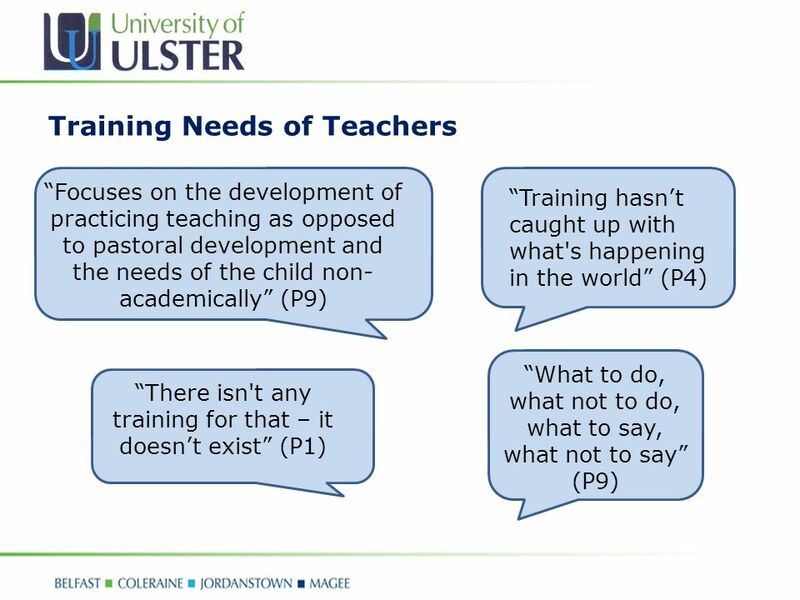 SEAL: Why a whole school approach?. Check-in What do we want children to be able to do? In addition to good academic results, we all want children and. Promoting positive mental health among BC youth.  Administration took place in Grade 7-12 classes in 50 of the 59 BC School Districts. 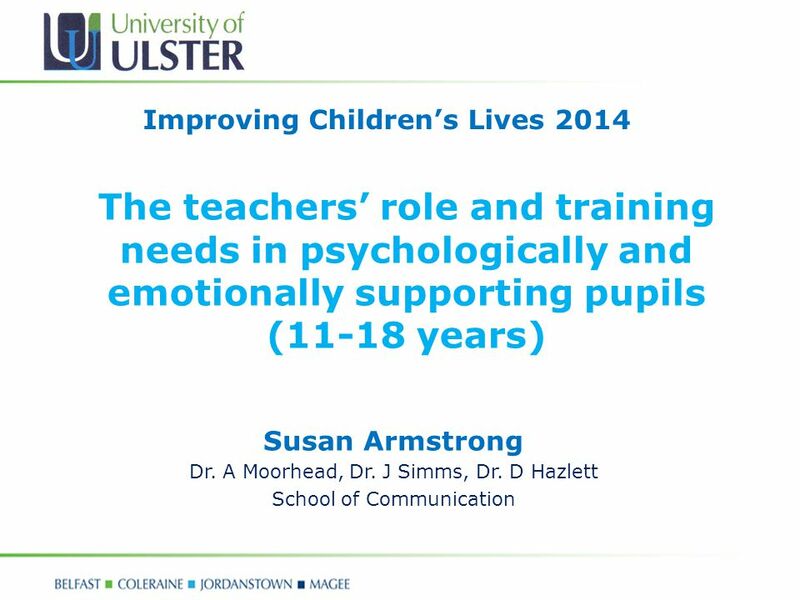 Improving Teaching and Learning in PSHE education January 2015 Courses Offer £170 per person per course. 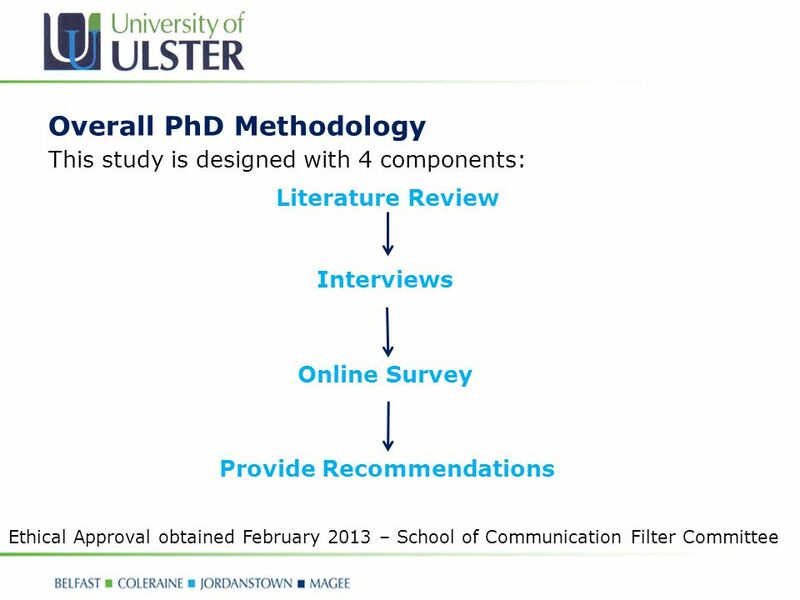 Courses to support the development of Health and. 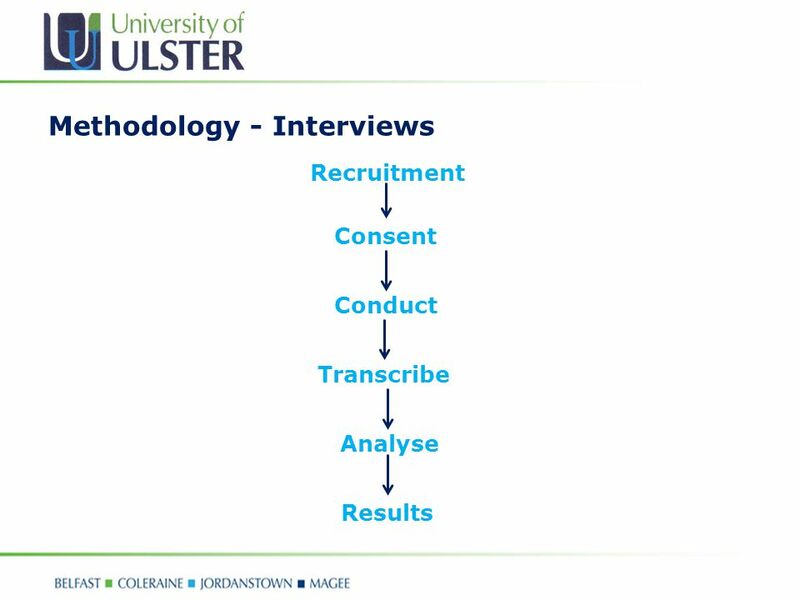 The experience of therapy trainees and therapists participating in research  Mark Widdowson, University of Leicester  Ref:- “Mark Widdowson. 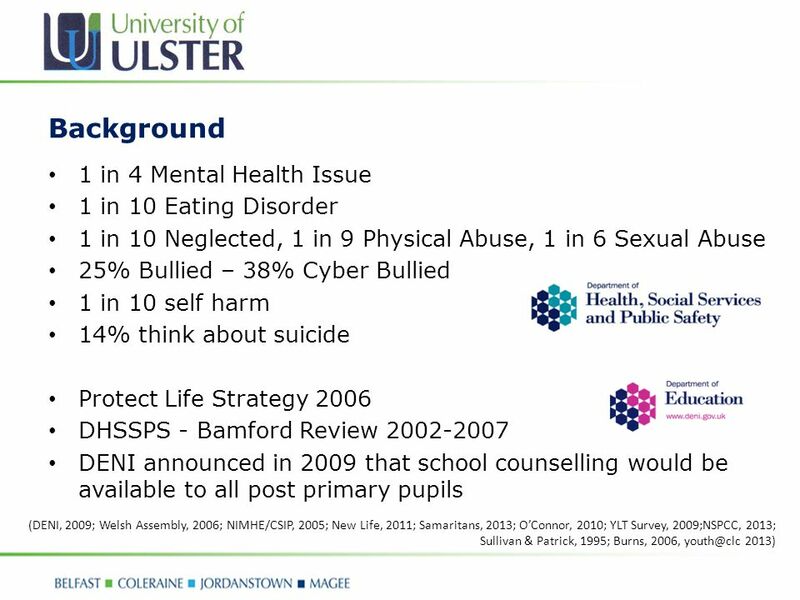 The National Healthy Schools Programme is a long term initiative that aims to help young people and their schools to be healthy, making a difference to. 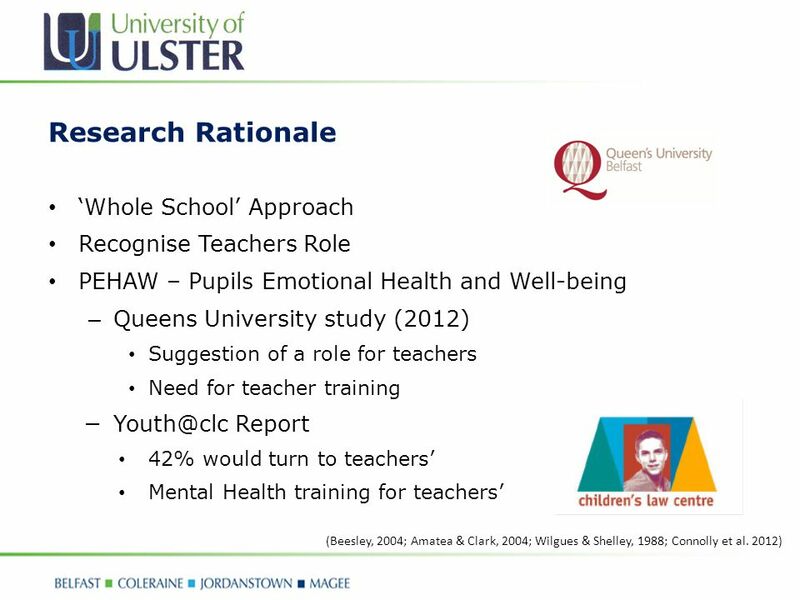 1 Health and Wellbeing in Schools Clackmannanshire Steering Group 20 / 07 / 09 Glynis Gordon Project Officer.